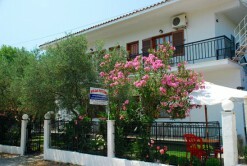 Welcome to Villa Fotini, located near the ferry port in Skala Prinos (Dasillio Prinos), Thassos. 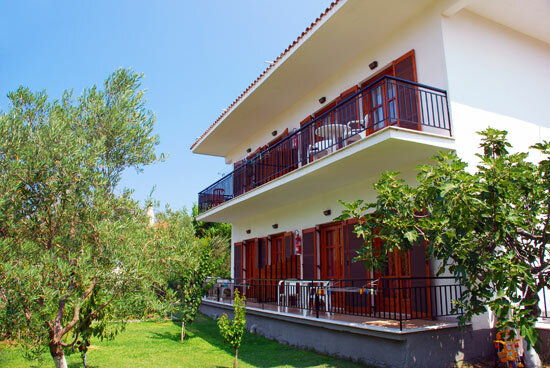 We invite you to stay at our villa during your relaxing holidays on Thassos which consists of four large 2-bedroom apartments and a warm authentic Greek hospitality. 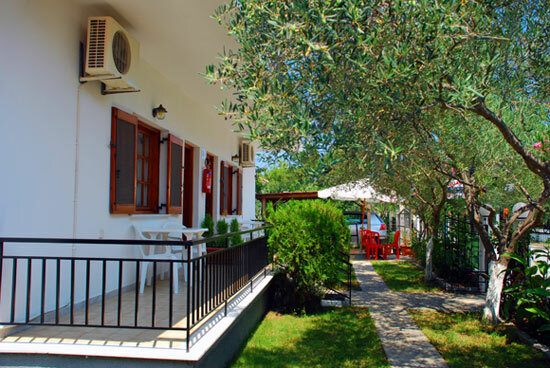 Villa Fotini is a privately owned and family operated business so you will always have access and be in direct contact with the ones in charge who care about your experience and time here. Along with 4 apartments we also offer a large garden with tables, chairs, umbrellas and a gazebo where you and your family and friends may have a nice barbecue any time you'd like using our outdoor grill. 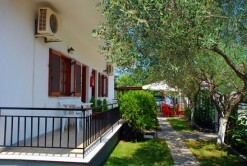 There is also plenty of open parking around our villa so rest assured that your car will be safe and nearby. Our location is ideal for those seeking for a place to enjoy some quiet time away from their everyday lives. We are surrounded by 2 kilometres of coastline which is mostly sandy beaches, the nearest one being just 100 metres away. We are very close to restaurants and tavernas that serve delicious Greek cuisine and offer magnificent views of the sea and colorful evening sunsets. There are also super markets nearby that can provide you with all of the essentials during your vacation, as well as tourist services such as bicycle, motorcycle and car rentals, souvenir shops, and various recreational activities.